Eggington in the Slips at Eggington Walking RouteThis circular walk begins in the pretty village of Eggington, east of Leighton Buzzard. You follow footpaths to the small settlement of Hockliffe Church End and back across the fields to Eggington. Start/Finish Point: Eggington village centre. Start Nat GR: SP957252. This circular walk begins in the pretty village of Eggington, east of Leighton Buzzard. 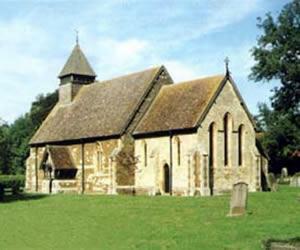 You follow footpaths to the small settlement of Hockliffe Church End and back across the fields to Eggington. How to get there by car/Parking: Leave Leighton Buzzard by the A4012 Leighton Road, turning right at the sign to Eggington village. On road parking is available in the village centre near The Horseshoes pub. Please park thoughtfully.